Social & Emotional / Can my child start eating independently and tackle new milestones? 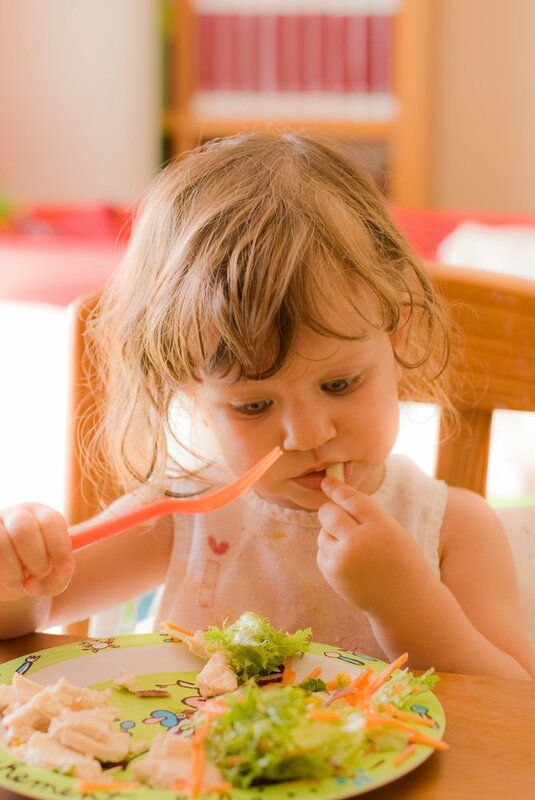 Between the excitement of achieving new milestones and the fear of messy floors and tables in the nearby future, figuring out when your child is ready to start eating by herself can seem complicated. In this article, we’ll talk about some of the independent feeding skills and table milestones that are usually met between 3 and 4 years of age. Pour liquids from a pitcher using a cup. Use the fingers and hand to hold a fork, apply the correct amount of pressure to pierce and pick up soft foods with it, and accurately direct it into the mouth. Wipe mouth with a napkin when prompted or reminded to do so. Take notice to swallow the food before taking another bite. Pour and scoop with minimal spilling. Open different kinds of food containers, like jars, food bags, juice bottles with a straw, etc. Drink from a small open cup using only one hand.